Chalk Talk: A Kindergarten Blog: Summer Reading Here I Come! I have been doing a lot of professional reading lately. 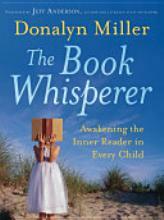 I just finished The Book Whisperer by Donalyn Miller and I ABSOLUTELY LOVED it!! No matter what grade you teach you will be able to apply this book to your life- in your classroom, with the students you work with, and with your own little ones at home. One very key piece of research has come out of all of the reading I have done lately and that is in order to grow our students as readers and to develop their love for reading WE MUST IMMERSE THEM IN READING AND GIVE THEM AS MUCH TIME AS POSSIBLE TO READ DURING THE DAY. 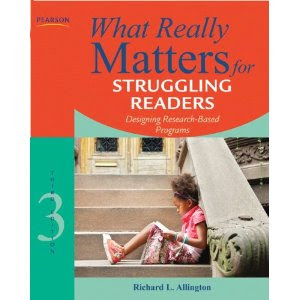 Donalyn talks about this in The Book Whisperer and Richard Allington talks about it in his book What Really Matters for Struggling Readers: Designing Research-Based Programs. Kimberly Gillow, from Funky First Grade Fun, also addresses this in her Virtual Teaching Expo session Systematic Approach to Helping Struggling Readers. Evaluate your daily schedule to see where you are wasting minutes that could be used reading, consider how you run your guided reading groups (are you spending more time teaching skills than having kids read), consider how much time you spend during the day reading to your class, and consider implementing the Daily Five or a reader's workshop in your class to give students more time to read. Richard Allington says our children need to be reading for at least 90 minutes a day to grow as readers- not spending 90 minutes in an ELA block but 90 minutes actually reading text. I highly recommend all three of these resources. I thoroughly enjoyed reading and listening to all of them. They have caused me to really reflect on my teaching practices and to consider some things I need to change for next year. 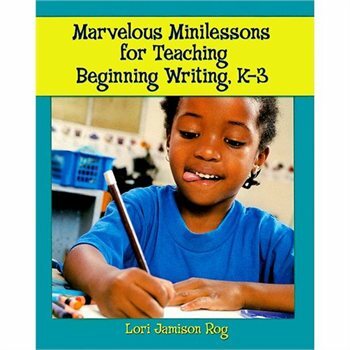 This week I started the book Marvelous Minilessons for Teaching Beginning Writing, K-3. I had seen this book on Pinterest and several different blogs, but I finally got the chance to flip through a copy on my own and knew I had to purchase it. I have already started reading it. It is perfect for all of us who teach young writers. It has a lot of great information in it and it is an easy read. I encourage all of you to join Donalyn Miller and myself in the 4th Annual Book-a-Day summer reading challenge. For more information, check out Donalyn's post on her blog The Book Whisperer. My whole building read the Book Whisperer last summer- we LOVED it! 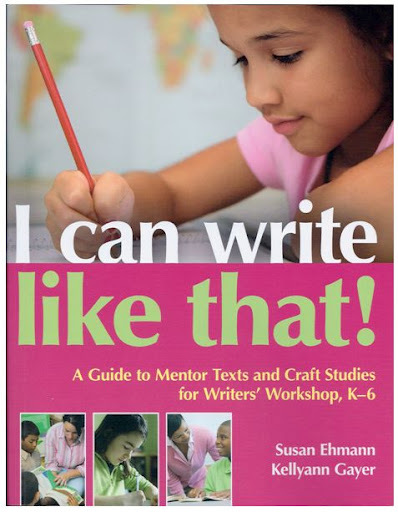 It changed the entire focus of our balanced literacy program. We switched OFFICIALLY to a readers and writers workshop (Calkins model. Many of us had been doing it for years, but now it is a mandate so that we are all on the same page. My firsties now read independently up to 35 minutes each day, while I am conferring with individuals on specific needs. I am read in Catching Readers now. It's a good refresher. I'd like to pass it around to our upper el. Some of them have mentioned that they are not used to teaching reading to the lower levels and have forgotten the nuances, as our population has changed and so have the needs. Thanks for the great recommendations! I LOVE the Book Whisperer!! Not sure how to make her ideas work in Kindergarten. Allowing students to have a say in read alouds and themes read and studied. Read aloud from a chapter book to your students for a period of time each day. Allow your students to have some say in the book you choose. Allow students to read books when they are finished with their work and have extra time. Consider your schedule- bathroom breaks, morning work, etc. and make sure you are making the most of your time. Make sure you are not spending all of your guided reading time teaching skills. 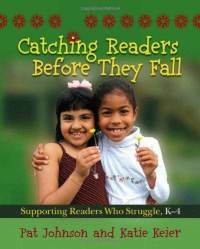 Make sure your students are reading and rereading the books they have in their hands. Don't give everyone the same book. Allow them to have some choice here. Implement the Daily Five or a reader's workshop so that your students are spending more time with books during your small group instruction. Have designated times daily or weekly where your class "drops everything to read." The Book Whisperer is great! I like your suggestions for Kindergarten :)Thank you!